Having any form of blepharitis can be a humiliating, uncomfortable, and even painful experience to go through. This is especially true when we look at demodex blepharitis, which is a specific type of blepharitis. In reality, nobody deserves to live with a condition this insidious and unsightly. Accordingly, it’s important to be informed about the many different aspects of a condition like this. On this page, we will explore everything that you need to be aware of regarding demodex blepharitis. Whether you suspect that you may have this condition, you are a professional seeking a bit more information on the topic, or simply are curious about demodex blepharitis for personal reasons, this page will serve as a resource to assist you. Once we break down all of the most basic information behind demodex blepharitis, we will finish by discussing the many different treatment options. Understanding demodex blepharitis is quite simple if you already have a general understanding of what blepharitis is. By itself, blepharitis is an inflammation of the eyelids, which can mean that the oil glands can simply be irritated, clogged, and even come along with additional problems. However, there is a big difference between blepharitis and demodex blepharitis. Although both of these conditions may look the same, they have completely different causes. Accordingly, before we break down specifically what causes demodex blepharitis, let’s start by taking a look at what this condition is exactly. 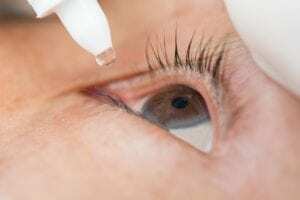 One of the most immediate things that can result with this condition is the irritation and/or clogging of the oil glands in the eyelids (your meibomian glands). This can lead to a lack of tears on your eyes or an increase in the evaporation of your tears. Of course, tears are your eyes’ natural lubricant. They are not only produced when you cry. If one has less tear production, it can result in dry eyes, irritated eyes, as well as many of the other correlating problems described below. The truth is that a person who has irritated or clogged oil glands in their eyelids may not even notice any symptoms right away. You might start to notice a dry, burning, or itchy feeling with time. However, many people may mistake these symptoms as another problem such as allergies, which can make diagnosing demodex blepharitis with only this problem a little more difficult. The buildup of crust on your eyelashes is a common problem that can come along with demodex blepharitis. Since this is something which can be very easily noticed, this is when many people start to notice that there may be an issue that they need to take care of. Typically, the crust on your eyelashes may resemble dried nasal mucus. Of course, this can be a very unsightly thing to build upon your eyelashes. Typically, the crust buildup will start on one or two of your eyelashes and then expand out. 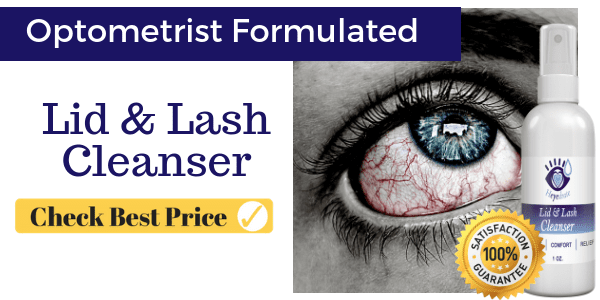 As the severity of one’s blepharitis continues to grow and expand, it can spread across the eyelashes until the sufferer is left with no choice but to seek treatment options. In any case, this may be the unsightliest part of having demodex blepharitis. Of course, with treatment this is something that can be brought under control. These are the main reason that one who suffers from demodex blepharitis is in the situation that they are. Whether or not we know it, it is very common for us to have mites living on certain parts of our skin, including in our eyelids. Since demodex mites are extremely small, not only are they hard to spot, but they can also be hard to kill and keep under control. To put the size of a demodex mite in perspective, roughly 20 of them can fit comfortably on the surface of one of your eyelashes. The human eye is simply not capable of seeing organisms this small without the assistance of a tool like a strong magnifying glass or microscope. Accordingly, it is one’s ignorance that these mites are there in the first place which can cause demodex blepharitis to spiral out of control. Although this isn’t always the case, cysts and other forms of acne can develop on your eyelids as a result of the complications brought on from demodex mites. Since any form of acne can be brought about by clogging your skin’s oil glands, pimples can also even develop on your eyelid. Of course, eyelid styes can be much more painful than your average pimple due to their location. Also known as a stye or chalazion, these cysts will typically go away on their own. Just like with acne on every other part of your body, there are natural defenses that your body uses to fight and control the problem before it evolves out of control. If it were not for these natural defenses, an eyelid cyst or just about any type of infection may otherwise continue growing. One thing which needs to be clear is the distinction between blepharitis and demodex blepharitis. Both of these conditions are very different from one another when you consider the cause. However, they are also very similar when we look at what the conditions themselves do to the eyelids of the sufferer. Pinpointing the cause of demodex blepharitis itself is actually very simple. It is the possibility of other conditions which can make it difficult to both diagnose and treat the condition. The most primary reason that one can develop demodex blepharitis is due to a thriving presence of mites in your eyelids. You may have mites in your eyelids without necessarily developing demodex blepharitis, which many people do. There are also two distinct types of demodex species which can cause Demodex blepharitis. It is once these mites start to thrive, lay eggs, reproduce, clog up oil glands, help contribute to dryness and irritations, and so on, that we start to call this problem by its proper scientific name: demodex blepharitis. Of course, you can have blepharitis without having demodex blepharitis. In other words, you need to be absolutely sure that an abundance of mites on your eyelids is what is causing your uncomfortable symptoms. Many people might choose to go to the optometrist to get a professional opinion because, if it is due to demodex, the treatment will be a bit different. 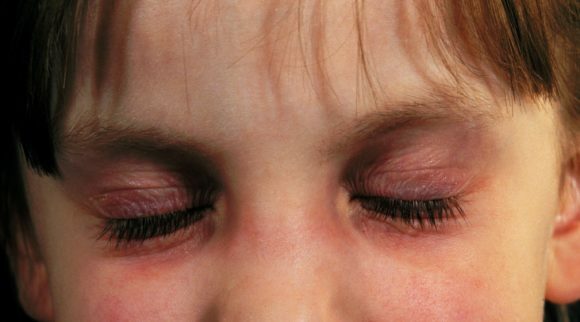 It isn’t uncommon to have mites living on your eyelashes. In fact, many people live with mites on their eyelashes without ever realizing it. Accordingly, it isn’t just the presence of demodex mites on your eyelashes themselves which can cause demodex blepharitis. In fact, demodex lives on nearly everyone without issue. It’s when they become overpopulated that they become a problem. Since blepharitis is defined as an inflammation of the eyelids, demodex blepharitis can then be best understood as a condition which is an inflammation of the eyelids caused by the thriving presence of demodex mites on your eyelashes. In reality, if one had been doing forms of blepharitis treatment beforehand, they likely would have never developed this problem. Just as you brush your teeth to proactively fight cavities, grooming and careful maintenance and observation of your eyelashes can stop demodex blepharitis from ever developing out of control in the first place. As you begin your fight against demodex blepharitis, you need to know how to fight the mites. To best understand how demodex blepharitis is developed, it’s important to understand the life cycle of these mites and how they thrive on your body so that you can start to understand the process behind getting the infestation under control again. Since demodex blepharitis requires the presence of these mites in your eyelashes, you simply need to start studying the culprits of the condition before you will know how to fight them. As we briefly mentioned above, there are two types of demodex mites which can cause demodex blepharitis to develop. These two types of mites go by their respective scientific names: demodex folliculorum and demodex brevis. Since these two types of mites are the root cause of demodex blepharitis, anybody who suffers from this condition or wants to learn more about treating it needs to know how these mites live and thrive. When this is understood, you know the means by which you can fight them. Of course, removing the mites from your body is only part of the equation. You won’t really be able to start focusing on the other symptoms of blepharitis until you can first remove the demodex mites. Just like fighting many other diseases and conditions, an educated doctor needs to first be aware of how to fight the source of the problem. 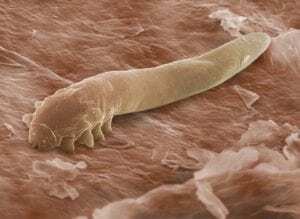 Thankfully, demodex mites are relatively straightforward organisms to fight, since they depend on human hair follicles and sebaceous glands to survive. This is a type of mite which needs your skin to survive. In most cases, they won’t cause any sort of negative problems or harm for the person who has them. They specifically love to live inside hair follicles. They have legs that they can use to crawl around and are roughly 0.4mm long as fully-grown adults. The mites themselves only live 14 – 16 days. This includes the time that they spend in their eggs and as a larva. This means that they need to reproduce relatively fast in order for a noticeable demodex blepharitis condition to start to develop. They lay eggs inside the skin, which can also cause a buildup of gunk. These mites cannot survive unless they are living on human skin. Remove them and they will not be able to survive. The main difference between demodex brevis and demodex folliculorum is that demodex brevis dig down deep into your meibomian and sebaceous glands. To survive, they feast on the sebum found in these parts of your body. Much how demodex folliculorum live and reproduce inside your hair follicles, these ones do so inside your meibomian and sebaceous glands. Just like the other type of demodex mites, demodex brevis require your body in order to survive. When removed from your body, they cannot find the sebum that they need to eat. Accordingly, reproduction requires that they live on your body. If you can remove them from where they lay eggs and reproduce, or remove their food source, you can fight the source of your demodex blepharitis and then begin to focus on the other symptoms of the condition. There are many symptoms that can point towards a demodex blepharitis problem. As we will make clear below, having symptoms of demodex blepharitis is not necessarily a clear indication that you have the condition. As we can see above, there are many potential symptoms that one can have if they have demodex blepharitis. Of course, many of these same symptoms can be present with other similar conditions, including other forms of blepharitis. However, if you have all or a combination of the above symptoms it is very probable that demodex blepharitis is the culprit. It’s important to note that many people who suspect that they may have demodex blepharitis may actually be suffering from an entirely different condition altogether. In all reality, it is easy to confuse demodex blepharitis with a different condition, so it is important that you understand some of the many other similar conditions. The way you treat one condition will typically be much different than the way that you may choose to treat another condition. Since a condition like demodex blepharitis can spread if not taken care of quickly, it’s important that you handle the issue both effectively and in a manner which targets the source of the problem. In this case, the source of the problem is the mites. Also known as meibomian gland dysfunction (MGD), having malfunctioning eyelid oil glands can also lead to many of the symptoms that we find with demodex blepharitis. Since this condition can be described as a blockage in the oil glands, many of the same problems that we find with demodex mite-based conditions are very similar. In fact, demodex can lead to MGD very easily. As we can see above, many of the same problems that are common with demodex blepharitis are also common among those who suffer from plain MGD. Since clogged oil glands can even cause a buildup of residue on your eyelids, MGD is one of the most common misdiagnoses for demodex blepharitis. Of course, the major difference with this condition in comparison to other ones is the fact that MGD is not always caused by demodex mites alone. 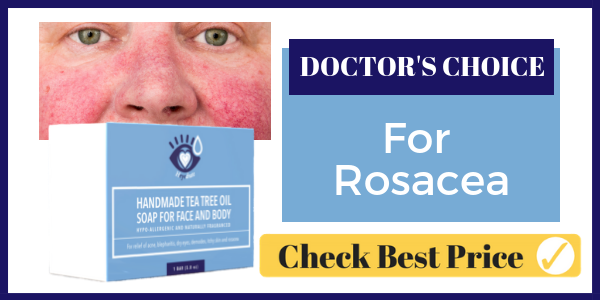 Rosacea is a condition which can be described as having red marks and bumps on your facial skin. One big similarity between demodex blepharitis and rosacea is that they can both be caused by mites. However, rosacea can also be caused by bacteria and damage to the blood vessels on your face, and from general inflammation in your body. Accordingly, it is a tad bit different from demodex blepharitis in regards to its range of root causes and potential treatment options. If you have rosacea, you may be stuck with an ongoing problem which can last you months, years, and even your lifetime. However, there are various remedies which can be used to lessen the redness and other symptoms. Depending on the severity and root cause of your specific case of rosacea, the treatment options can be hard to choose from. This is another condition which is oddly similar to demodex blepharitis in that it has many of the same symptoms. The huge difference in this case is that this condition is not caused by mites crawling into your glands and hair follicles. Accordingly, since this condition has a completely different cause than demodex blepharitis, it requires a completely different type of treatment. As we can see above, there are many similarities between seborrheic dermatitis and demodex blepharitis. 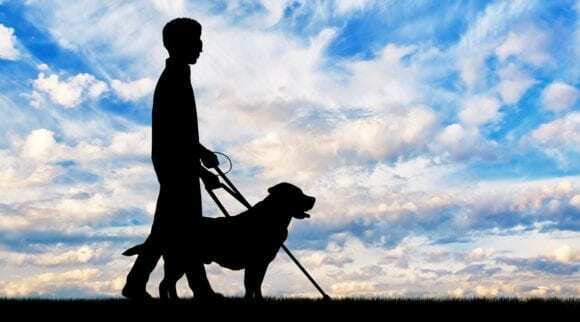 Although it is completely understandable for one to get confused about what exact condition they have, this is another instance where the wrong diagnosis can end up with a much longer treatment than what is necessary. Bacterial eye infections can come with many of the same conditions and problems that we find with demodex blepharitis. Since the root cause of the issue stems from bacteria and not mites, a typical regimen for fixing this problem might involve heavy loads of antibiotics. Of course, this depends on what type of eye infection you have, where it is located, and many other variables that an eye doctor would best determine. Bacterial eye infections are a problem that can have many of the same painful symptoms as demodex blepharitis. Accordingly, it’s important that you can make the distinction between these two conditions. Regardless, they are both conditions which require a swift and effective level of care. If you are certain that bacteria, not mites, are causing the problem then it is possible that you have an eye infection. Although it is not completely likely that you will confuse an allergic reaction for demodex blepharitis, it has happened. In fact, it is much more common to assume that you have an allergic reaction when the true problem is demodex blepharitis. However, once the symptoms start to evolve and get more and more severe, it becomes clear that an allergic reaction is simply not the case. Dry and itchy eyes are actually very common symptoms of allergy. 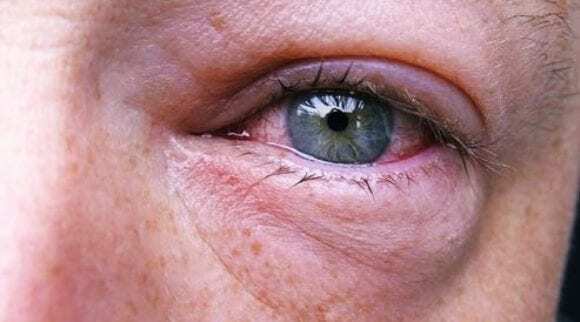 This is why many people’s initial reaction when they are faced with a problem of dry and/or itchy eyes is that they assume it is simply allergies. If it is the right time of year, symptoms of allergies can blend very well with the symptoms of mild demodex blepharitis. After all, the symptoms of the two conditions are very similar. With all of this background knowledge out of the way, many people reading this may want to have their own confident diagnosis at home without going to a doctor. Rest assured, it is possible to diagnose demodex blepharitis at home. However, you will need some basic scientific tools. After all, your eyes are likely not powerful enough to see objects as small as demodex mites. Accordingly, a confident demodex blepharitis diagnosis requires one to be able to visually confirm the presence of demodex mites. If you cannot do this, then it is much more likely that you have basic blepharitis or another one of the many potential conditions which are commonly confused as demodex blepharitis. To help those who want to diagnose themselves, here are the steps you must go through for a confident demodex blepharitis diagnosis. 1. Prepare a Scientific Work Area with a Microscope. Unless you want to go to a doctor for a definitive diagnosis (which we recommend, by the way! ), a home diagnosis of demodex blepharitis requires that you have a microscope and a safe work area to observe your hair follicles. If you do not have a microscope, a magnifying glass will still prove difficult to use. You need to remember that these organisms are only about one tenth of a millimeter long. Accordingly, they are already difficult enough to spot without the assistance of a microscope. This is why you need to start off by securing a confident means of looking at the organisms up close. In this case, a microscope and a stable flat surface will do. For best results, this needs to be an indoor area. 2. Pluck Out an Eyelash which Looks Suspect. This is very easy to do if you are a person who has eyelashes with a buildup of cylindrical dandruff. After all, the follicles which have CD buildup are much more likely to have mites currently crawling around on them. Of course, the last thing that you want to do is pull out a large number of hair follicles unnecessarily. This is why you should focus on the ones that are the absolute most suspect. Otherwise, you may as well pluck out every single eyelash you have trying to self-diagnose yourself. Like we’ve said already, this is why it’s best to see your eye doctor for confirmation! 3. Add Fluorescein (or another Similar Dye Product) to the Sample and View It. Now that we have our hair follicle sample, this may or may not be the step where we can confirm whether or not the problem is a demodex blepharitis problem. Since the organisms may be hard to see by themselves, it is heavily recommended that you add fluorescein or another similar scientific dye to the sample before viewing it under the microscope. With dye thoroughly spread across the sample, you should now be able to view any mites that are on your hair follicle with the microscope. They have a very distinct look from hair follicles in that they are much more transparent. Of course, they very much resemble the look of a typical mite when viewed under the microscope. 4. (Optional) Add a Couple Drops of Alcohol to the Sample. Finally, when all else fails, alcohol is a way to really get these mites to come out. Of course, alcohol is something which will burn them. Before this happens, they will attempt to escape from the follicle and run to safety. For us, this provides a nice window for viewing them and confirming the suspicion that you suffer from demodex blepharitis. If you reach this point and have still yet to find a single mite, then you should go see your eye doctor. Of course, if you do all these steps and don’t notice a single mite, it is much more likely that you have a different type of condition than demodex blepharitis. Although this may be a relief to many people, there are still many other nasty potential causes for your eyelash problems. One thing which is important to note off the bat as we discuss the severity of demodex blepharitis is that nobody should be ashamed of the fact that they have mites on their eyelashes. In fact, all living adults have mites which live inside their skin. Since our bodies are so comparatively large to tiny organisms like demodex mites, it is completely normal to have various organisms living inside us without our knowledge. In this case, it is only when we start to notice blepharitis that this issue becomes a major concern. Of course, there are many different classes of demodex blepharitis based on their severity. There are cases where it is almost unnoticeable all the way up to chronic cases where somebody could glance at the sufferer and know that they have a condition on their eyelashes. To help you gauge the severity of your individual case, here is a rough guide on how you might choose to gauge the severity of demodex blepharitis. Those who have a mild case of demodex blepharitis can be best described as having a noticeable amount of cylindrical dandruff on five or fewer lashes. Typically, mild cases are much simpler to deal with. After all, there are fewer mites, less irritation, and overall fewer problems. Of course, anybody who believes that their condition is only mild doesn’t mean that the problem cannot get worse. Due to the quick ability of demodex mites to reproduce, lay eggs, and completely trash your eyelashes, anybody with a mild case of demodex blepharitis should immediately seek treatment before they find themselves with a problem much worse than they previously anticipated or even imagined. Although mild demodex blepharitis will likely not cause any permanent problems, it is nevertheless worth fighting right away. 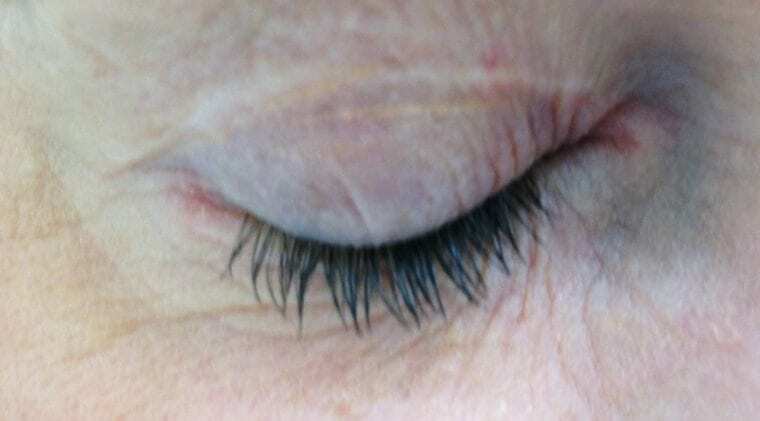 Moderate demodex blepharitis might be described as having CD on six to 10 of your eyelashes. Once you get to this point, your eyes are likely noticeably altered by the presence of the mites and the CD. 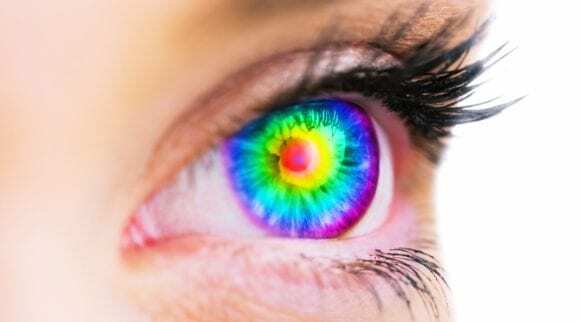 If you are lucky enough to catch your condition at this point, you really need to start treatment before it evolves into a potentially permanent set of scars and aesthetic problems with your eyes. This is a pretty common stage for people to reach before they realize that they need help. Once this condition starts to become noticeable, the negative symptoms start to become much more of an inconvenience. If you start treatment at this stage, you are still very likely to minimize the problem and prevent permanent problems. Severe demodex blepharitis cases can be marked by the presence of a noticeable amount of CD on 11 or more of your eyelashes, and this is much more common in the elderly population. This is also the point where many people simply cannot handle the condition at all. Anybody who has severe demodex blepharitis is likely already heavily suspicious of this fact. Since a common misconception of demodex blepharitis is that it is actually chronic bacterial blepharitis, many people may even receive treatment up to this point before they realize the real culprit of their problem. If you think you have severe demodex blepharitis, do yourself a favor and go straight to the doctor. It can have permanent implications on your eyes and should accordingly be taken care of right away. Is there a Cure for Demodex Blepharitis? In all honesty, there is no definitive cure which will remove every single demodex mite from your eyelashes. Since they live there naturally, the goal of any educated doctor is to minimize the number of mites present, not eradicate them all. This is impossible. After all, you will start to naturally gather some more if you continue living a normal life. As a result, there is no effective cure for this problem. However, you can completely remove the negative symptoms with the right treatment. After a successful treatment, it is important that you continue to keep your eyelashes clean so that you can ensure that the problem doesn’t renew and start over. If you go through the torture of treatment once, it’s best to take all measures possible to avoid a second one. Those who are ready to go on to the treatment stage are the ones that will likely receive the quickest and easiest treatment process. 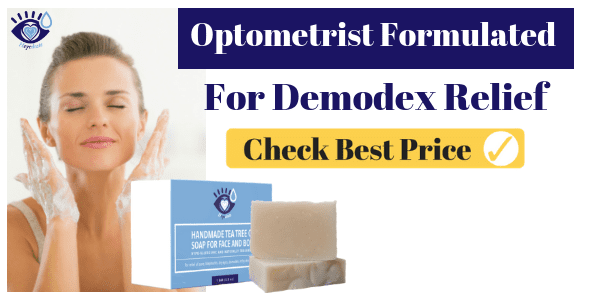 Since there are various medical professionals, like optometrists, who handle demodex blepharitis all the time, they will be the most likely candidates for ensuring a smooth recovery. Of course, you don’t need to seek professional help for demodex blepharitis. Although it may be much easier to recover quickly with a doctor, don’t assume that similar results cannot be experienced at home with the right quality of treatment. Keeping this in mind, here are some of the various benefits and treatment options that come along with receiving help from a professional. The most immediate benefit that you will receive when you go to a professional treatment center is the confidence that you will receive a diagnosis from someone who does this sort of practice all the time. In life, there is an advantage which comes with a high level of experience in just about anything. If you go to the doctor, your diagnosis process will be much simpler and quicker than it would be at home. Of course, anybody with the same tools or similar means of viewing the mites on your eyelids will be able to produce a similar diagnosis. However, one area where a professional’s opinion will really be helpful is viewing the severity of your personal case and then determining the proper course of action. When it comes to the initial stages of treating demodex blepharitis, having a professional cleaning done is one of the initial things that a professional optometrist will do for you. This is especially relevant for those who come in on their first appointment with cylindrical dandruff plaguing their eyelids. Although a professional might use similar techniques to what we describe below with warm compresses, you also receive the benefit of working with somebody who really knows what they are doing. 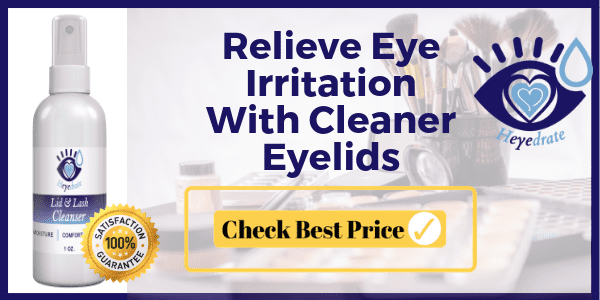 If you have a lot of CD buildup on your eyelids, having a professional cleaning done is a great way to get all the gunk out quickly so that you can get back to your normal life. The main issue here is the removal of the dandruff. You have to have that removed before you can begin proper treatment with anything else. Having prescription medication is always an advantage since you have access to medicines that you otherwise would otherwise not be able to purchase over the counter. Testravisc, steroids, antibiotics, and a healthy dose of warm compresses may be some initial things that your doctor recommends. Depending on the severity of your condition and the effects that the mites have had on your skin, the doctor may prescribe different things. For example, if you have a demodex blepharitis problem which is in the mild beginning stages, the doctor will likely start with the most basic and least invasive types of medicines possible. Rest assured, those with advanced demodex blepharitis problems will go straight to the best effective treatments possible. Otherwise, you wouldn’t have visited the doctor in the first place. When you use steroids and antibiotics together, you are using a powerful solution for fighting the mites themselves. When used properly, an antibiotic/steroid ointment will work to keep the mites from moving around. Accordingly, they will eventually suffocate, starve, and be unable to reproduce. After all, they need to move around and eat to survive. In addition to fighting the mites themselves, an ointment like this will help to reduce the inflammation and buildup of gunk left behind from decaying mite bodies, eggs, and parts. This will do wonders for fighting the result of the mite problem once the bulk of them are taken care of and you get the mite population under control. Remember that you probably won’t be able to completely get rid of every single mite since they are natural inhabitants of your body. Another big difference between trying to handle things on your own compared with going to the doctor is the fact that doctors will work with you and continue to share their experience and expertise throughout the entire treatment process. Alternatively, one could simply try to do everything on their own. In all likelihood, it will be unlikely that any sort of home treatment will be as effective as one you can receive with a doctor. Since a doctor is experienced and effective at removing cylindrical dandruff from your eyes as well as monitoring the progress of the treatment, checkups and routine visits will help you to relax and continue on with your normal everyday life. Home treatment can be a daunting task if you are not familiar with how the process works, or you simply lack confidence in your ability to handle things. Of course, it can also be the most affordable means of treatment, which is why many might choose to handle things on their own. In any case, you can always be sure that the problem can be handled at home or in the doctor’s office. Those who want to begin treatment at home need to first ensure that they have a confident diagnosis. Once you are sure that the problem is blepharitis derived from demodex mites, then the following treatment regimens will apply to you. Perhaps you will choose to go to the doctor solely for the diagnosis, recommendation, and/or prescription. Below, we will discuss various ways in which you might choose to get the mite population under control first. One of the first things that you need to take care of is the buildup of cylindrical dandruff (CD). Whether you get it from a professional or do things on your own, a warm compress is one of the most important parts of your treatment. It is also very simple to do on your own. Whether it be during this stage of treatment, or down the line when your mites are under control, routine warm compresses are something which you should not stop doing. For your reference, here are the materials that you will need to do a warm compress from home. To get started, place a warm compress eye mask in the microwave for 15-20 seconds on high. Take it out and test the temperature on the inside of your wrist. Once it’s not too hot, lie the mask over your closed eyelids for 10-20 minutes. Relax! This will help hydrate your eyes and clean the eyelashes. Exert a little bit of compression onto each of your eyes, and also carefully brush your eyelashes afterward. Repeat this process at least two times daily with around 15-20 minutes reserved for each session. There are certain chemicals which can kill you. Hopefully that went without saying. The same holds true for those pesky little demodex mites that you have on your eyelashes. One of the chemicals that these little suckers really hate is tea tree oil. It is a natural medicine which can be purchased over-the-counter at just about any drug store you can find. It is also widely known as a go-to chemical for killing demodex mites. There are many ways in which one can apply tea tree oil to their eyelashes. There are oil products and shampoo products. 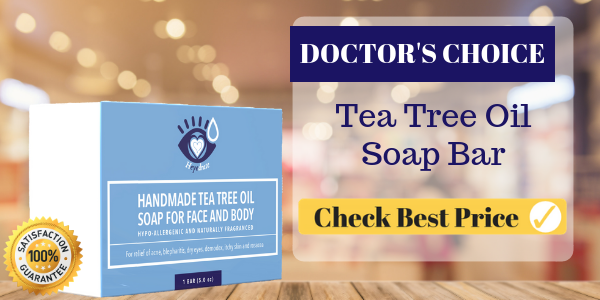 Start by going to the pharmacy and explaining that you need tea tree oil to kill demodex mites on your eyelashes, and they should give you the remedy right away. Better yet, purchase the Heyedrate Tea Tree Oil Soap! Either way, this is one of the best remedies for conquering those pesky demodex mites. This step for controlling your mite population may actually be a tad overrated. Your eyelashes are what have become the habitat for these mites. Keeping this in mind, the most logical thing one can do is find all of the many ways that they can ruin their habitat. One of these ways is getting cylindrical dandruff under control. Don’t get confused here, we’re not recommending that you remove all our eyelash hairs. But we are recommending that you remove as much of the eyelash dandruff as possible. Cleaning your eyelids with an eyelid scrub, especially one formulated with tea tree oil, is essential to controlling the dandruff and demodex. You want to get the dandruff off, so that the demodex have nothing to feed on. Before you can confidently assert that your mite population is under control, one thing that you need to ensure before moving on is that the problem truly is under control. Although you may have been treating yourself for months and are confident that you have your mites under control, be aware that the problem may have spread to other members of your household. This especially includes pets like dogs and cats that may be lurking around, even though demodex that lives on humans will not traditionally live on your pets. Once you have the demodex mites under control, you can then start to focus on the damage that they did. However, it is important that you start here so that you don’t find yourself fighting symptoms which will only revert back to their initial status. To put this in perspective, imagine trying to cure the swelling and redness symptoms of acne without first getting the infections under control. In a similar manner, it is necessary that you start by first taking care of the mite population before you will be able to effectively get the rest of the blepharitis symptoms in check. If you tried all or a combination of the remedies above, you might already be confident enough to move onto the next stage. However, as stated, fighting the blepharitis symptoms after you get the mites under control will be crucial since it will help guarantee they don’t start causing the same problems. Aloe vera is truly one of nature’s miracle plants due to its natural anti-inflammatory and moisturizing effects. It is used in many different medicines and natural remedies. In the case of demodex blepharitis, it is also extremely effective and worth using. There are even those who have been able to remove the entire demodex blepharitis problem with just aloe vera. However, it is probably not safe to assume that this should be your only go-to. 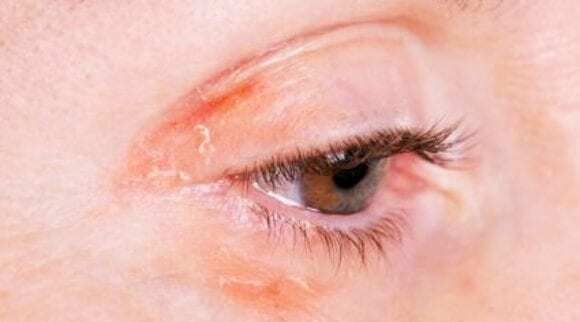 There are many ways to apply aloe vera to your eyes. You might choose to simply rub the gel from the leaf on your eyelids several times daily. However, there are also bottled aloe oils and gels which can be just effective with the right active ingredient. When it comes to an ingredient that is anti-inflammatory, castor oil is another powerful option to choose from. In addition to helping with the inflammatory symptoms, castor oil is a wonderful way to knock out some of the itchiness, irritation, and pain that can come with having blepharitis symptoms. When used with other similar ingredients, the results can be much more prominent. To treat yourself for blepharitis, start by gathering the ingredient. Typically, castor oil can be found in a tincture where the drops can be extracted and easily placed on the affected areas. A great way to really spread it around is to use a Q-tip or cotton swab to mix it around and make sure that it touches each of the affected areas. For best results, do this twice daily. Another ingredient which is vaguely similar to aloe vera and castor oil is coconut oil. Just like the previous products, this one naturally protects against inflammation. Like castor oil, it also is effective against any itching and pain symptoms which you still experience in your eyes. As a result, those who pair it with the previous remedies and the following ones are sure to see quick results. The application of coconut oil is rather similar to what you probably already experienced before with other products. Typically, it will come in a tincture where you can easily apply and spread the oil across your eyes using a Q-tip or cotton swab. When done several times daily, especially with aloe vera and castor oil, coconut oil will prove itself to be one of your favorite weapons against blepharitis. If you make an effort each day to wipe away any dried up oil which may be blocking the path for new, you can start getting the dryness and inflammation under control. Of course, you may also choose to do this along with all or some of the above and below options. 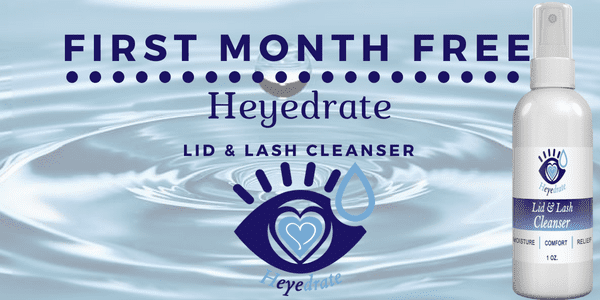 We recommend using the Heyedrate Lid and Lash Cleanser twice daily to keep your eyelids clean and free of debris and bacteria. Simply spray the solution onto your closed eyelids and rub in. No need to rinse it off! With the demodex out of the way, a common problem that people suffer from is the continual dryness symptoms that blepharitis can bring. Of course, your eyes have a natural means of fighting this too. They’re called tears. As you blink, your eyes naturally produce and spread tears throughout your eye. In other words, blinking can be one of the absolute best things to do if you suffer from dryness symptoms. Make a concerted effort to blink every day. For best results, try to force yourself to blink as much as possible for five minutes. Repeat this process as you start to notice the dryness symptoms return. One of the most important things that you need to do while in the final stages of finally getting your blepharitis under control is to immediately stop using cosmetics and/or contacts. Cosmetics only help clog the oil glands and preserve the dryness symptoms. Contacts also work similarly as far as your eyes’ dryness is concerned. The absolute worst thing that you can do if you have come this far is to have your symptoms get worse only because you want to temporarily look a little better or see a little bit better. In the meantime, use your glasses and go out looking as you naturally are. People will hardly even notice the difference in your appearance. In fact, they may have already noticed the issues you are now finally conquering. Be proud of your treatment progress and make sure it ends as quickly as possible. Whether or not you know it, the root source of your mite problem may have actually been partially developed because of the bed that you are sleeping on. Don’t get too riled up here, though. As we have demonstrated, demodex mites need humans to survive. Since they can only live so long away from your body, think of your bed as only a temporary home for them. Yet, think of things this way. As you are sleeping your eyes and head are typically in direct contact with your pillow, and perhaps even other bedding supplies that you have. Since mites can be much more active while you are sleeping, they might even be adventurous enough to find their way to your pillow. This is why a great final precaution you should take is to change your pillow, pillowcase, and other bedding supplies. As we have demonstrated and made clear throughout this page, demodex blepharitis is a condition which is painful and even outright embarrassing for the sufferer to have. Nobody should have to deal with this condition. Since we have great information about what causes this problem, the symptoms, the various similarities it has to other illnesses, and various potential remedies for it, anybody with this condition has no excuse but to take care of things. Those who imagine that they may have demodex blepharitis simply need to get a concrete diagnosis before they pursue any sort of treatment. Since this illness can be strangely similar to various other diseases, a proper diagnosis will give you the confidence that you are on the right track for treatment. In the end, remember this is a condition which can be handled, regardless of the fact that it is not curable. After all, having a small number of mites living on your eyelashes is actually completely normal.